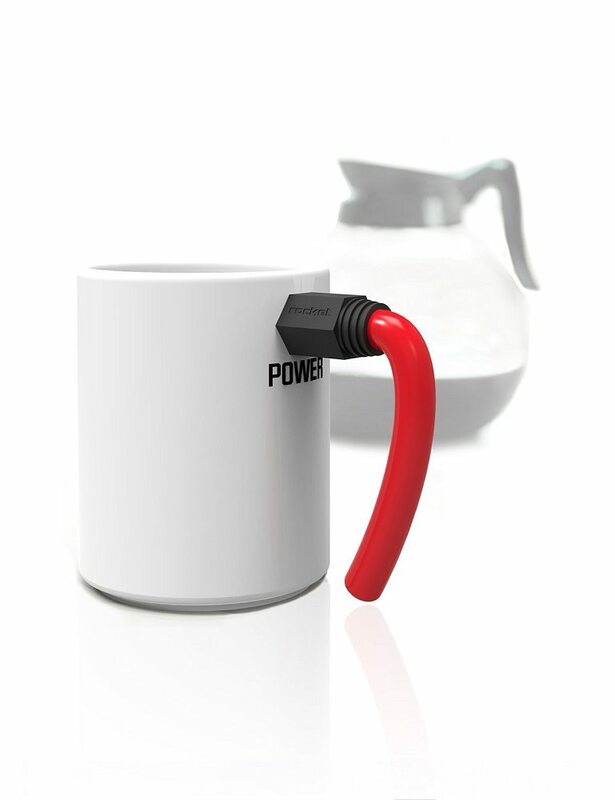 Give your everyday hours of coffee a real charged up feeling with this innovatively designed Wired Coffee Mug. 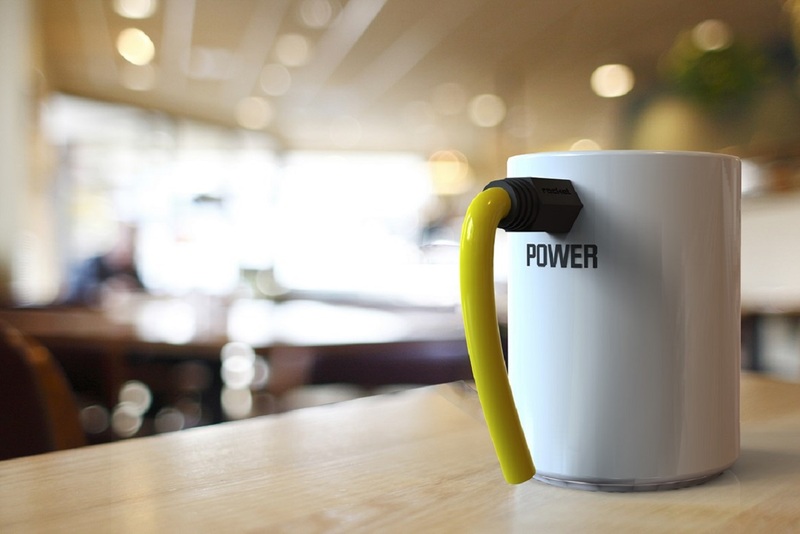 Otherwise a normal ceramic mug, it comes with a jack-shaped silicone handle that brings the feeling of bringing power back into your life. Just like caffeine raises your bar of energy everyday, one look at the mug and then the coffee within it will definitely make you feel a bit more energized for sure. 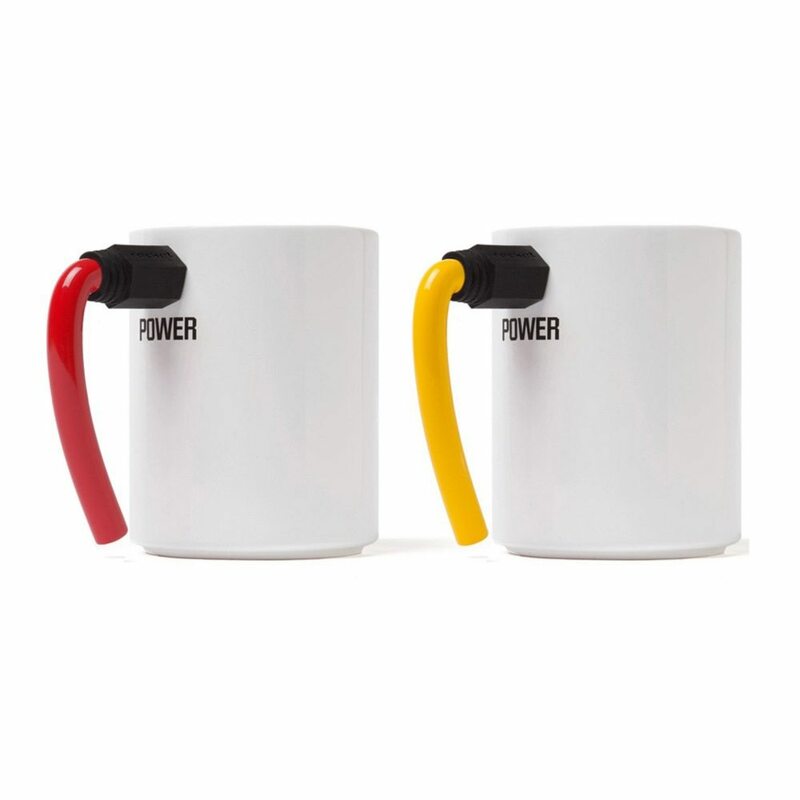 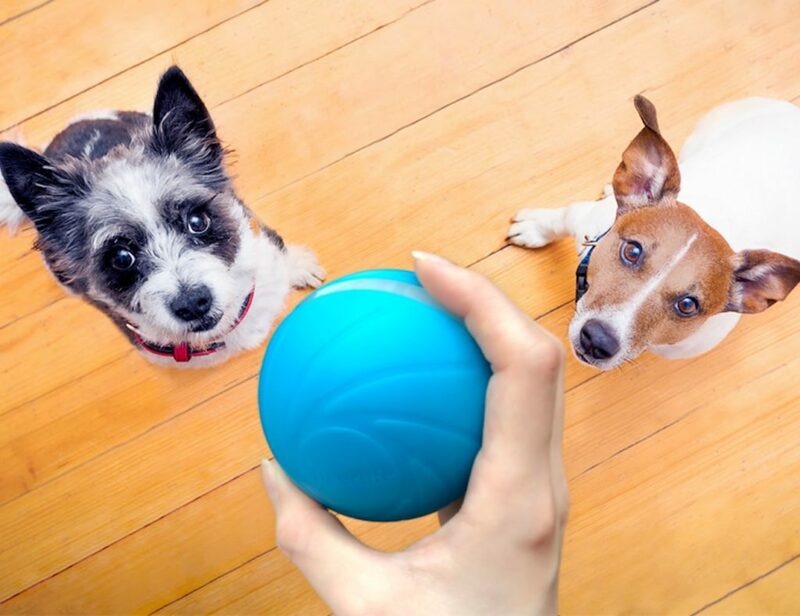 The mug is dishwasher safe and comes with different colored handles to add some vibrancy during caffeine breaks. 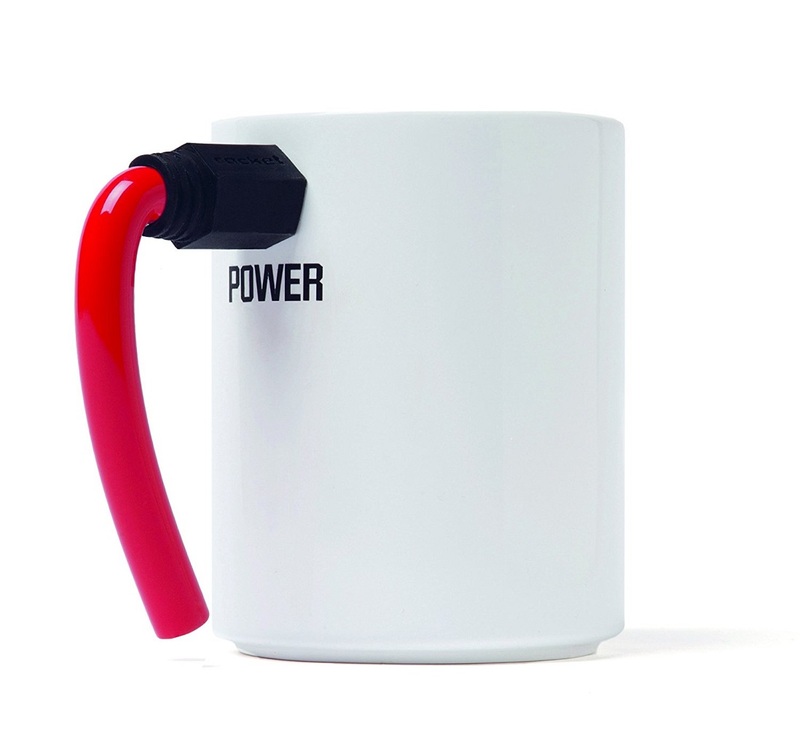 Good way to plug into your favorite cup of cappuccino in a differently concepted mug symbolizing that boring charger from your digital life with a twist.